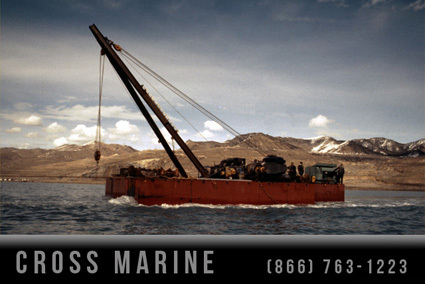 This marine salvage diving barge is preparing to recover wreckage from the bottom of a lake. 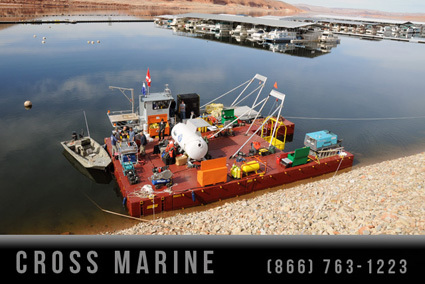 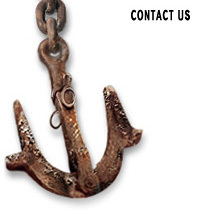 It is equipped with a commercial diving station, underwater burning equipment , and crane. 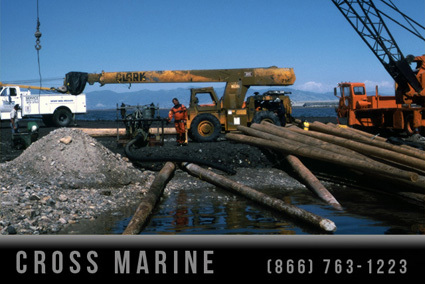 This lake timber salvage project saved tens of thousands of board feet of preserved lumber that was later used to make rustic furniture and other woodworking projects. 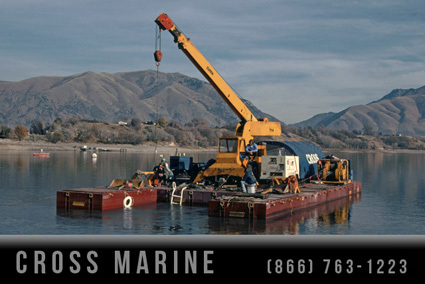 The marine salvage project also reduced the number of submerged navigation hazards in a well trafficked part of the lake. 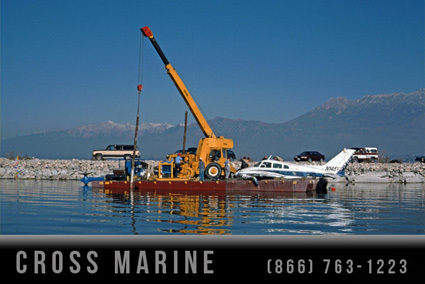 Inland lake marine salvage barge recovering a sunken airplane. 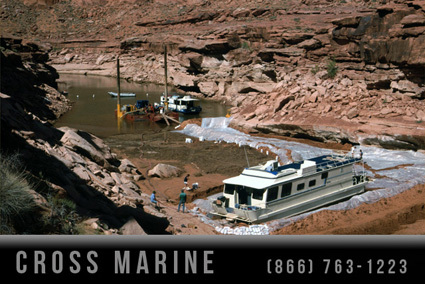 House boat salvage operation in a remote lake canyon. 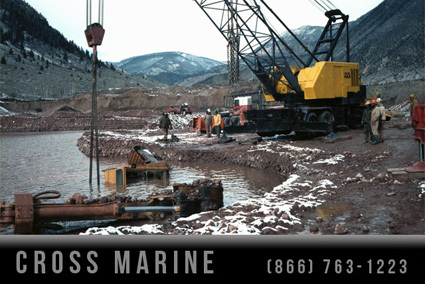 Commercial divers salvage an excavator that had fallen off an embankment and into a tailings pond. 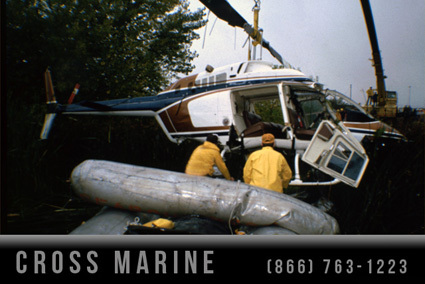 A crashed helicopter salvaged from a sensitive marsh marine environment. 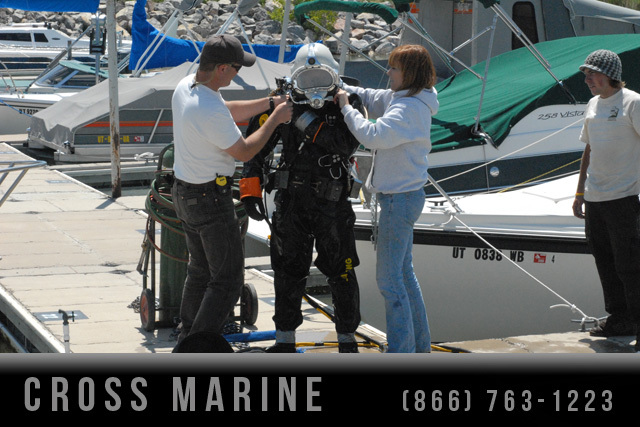 Commercial diver suiting up to recover a sailboat that sunk in a marina dock slip. 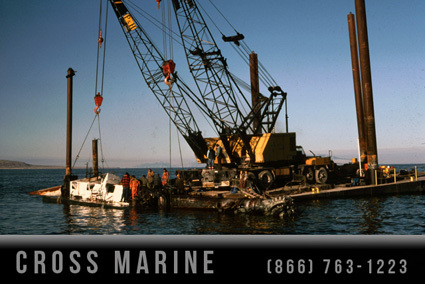 The boat was recovered in salvageable condition.